I was always 3/4-overhand until my pitching coach Jack Aker got me to drop my arm angle down. 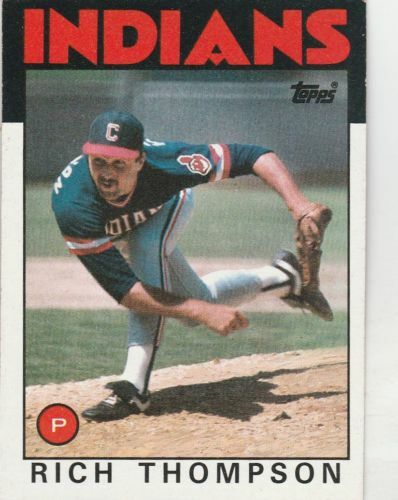 In 1985 I got called up by the Cleveland Indians. I was throwing really well, decent ERA. We had lost 14 games in a row and our manage Pat Corrales needed a closer. He called me into his office and told me I needed to start pitching submarine. I hesitated and told him how well I was doing. Pat told if I didm’t i’d get sent down to the minors and he’d make sure I’d never get called up by anyone ever again. Went in to the game pitching submarine for the first time and walked Carlton Fisk on 4 straight balls, had teammates laughing at me. I was not even close. Next batter hit a missile luckily right at a player for a double play. We won miraculously and after the reporters called me Frankenberry after Dan Quisenberry. I was getting crushed, my ERA went from a 3.95 to a 7.90, not striking anybody out and walking too many guys. One game I got left in for 10 ER’s in 1IP. Eventually our pitching coach got fired and Jack Aker became the new pitching coach. He questioned me what the heck I was doing pitching submarine and got me back to my low 3/4-sidearm slot. Finished the last month of season and got couple saves and my ERA down to a 6.30. Spring training the following season the Indians wanted me to go back to pitching submarine so I got my release from them. I eventually got back up with the Expos in 1989 with my low 3/4’s-sidearm slot. The biggest advantage I had was the movement was the movement I got. In 1985 our pitching coach told me had the best sinker in the American league. Another big advantage is that I never had an arm injury. In the minors in 1988 I went back to starting and had 10 complete games and then would close games in between starts, also had 4 saves. In 1989 I threw 160 IP’s in AAA and only gave up 1 home run. I was able to keep the ball inside the park. I actually had one game in Mexico during winter ball, where I threw a CG in 9 innings, 66 pitches and only 6 of those were balls. Not one ball ended up leaving the infield! When the Indians decided to try and change me to a submarine pitcher, I was basically their guinea pig. They wanted me to be their Dan Quisenberry but I was having success from my lower arm slot, but not that low of a slot. I was aches and pains in my lower back, it just wasn’t for me. Dropping my arm initially to my sidearm slot though got me to the Major Leagues. I would ask the player, what’s wrong with you now? are you struggling throwing strikes or not getting any looks. Then why not, have nothing to loose. As long as you are able to get some sink on the ball with lower slot, go with it. I’d have to take a look at the pitcher, everyone is a little bit different. I think too many pitching coaches make the mistake of trying to make everyone look the same. Cookie cutting every pitcher. If your pitches get sink then it’s working. See if can get feel for a breaking ball but for me the change-up was easier to learn. For low slot pitchers, think down the middle of the plate. Don’t nibble, trust the movement you get and let it work for you then trying to hit your spots too much. I didn’t start pitching until my Jr. year of college. Had a great arm at 95 mph. Basically got up to AA with only fastballs. Jack Aker my pitching coach lowered my arm angle and showed me some things. Added in a change-up, sinker, cutter. I would still mix in a 4 seam fastball from a higher arm slot and sneak that in on a hitter. Lefties- I was change-ups away, with 2 seam sinkers and then come in with a 4 seam up and in. I wasn’t afraid to hit a batter. I actually started one game were they started 9 lefties. I threw 90 pitches- 45 of those were change-ups. Righties- I would go 2 seam sinkers down and away. Even with them I would mix up a 4 seam fastball up and in. Never try to strikeout anyone, unless 0-2, 1-2. I tried to get hitters out with one pitch. When I was in Spring Training with the Yankees, I got a chance to talk to Don Mattingly, he told me the change-up is the hardest pitch to hit. No hitter sits in their looking for or sitting for a change. A lot of pitchers after giving up a double to the wall or home run, their next pitch will be as hard as they can. I was the opposite, my next pitch would be slower, then slower. Runner on 2nd after a double then I would get an infield pop-up, now I can get out of it. I loved getting guys out with the change-up. It was my best pitch. Loved big power hitters yelling at me to throw a fastball. Why should I! In the minors there was a big power hitting lefty Lovell Freeman, who are pitching coach told us to pitch around him. First pitch threw him sinker down and away, he hooked it foul. I throw 2 change-ups and struck him out. Struck him out 10 straight ab’s all with change-ups. Randy Johnson asked me ‘what are you throwing that guy” Loved big power hitters who tried to take the ball out of the park, it was the hitters who could go the other way who gave me problems.